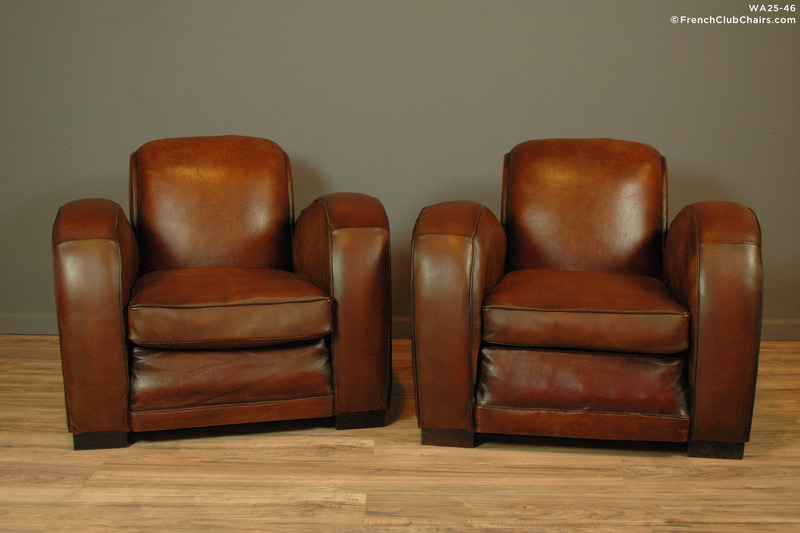 Erton Deauville French Rollback Club Chairs are one of the very few pairs of these amazing style of chairs that we have had the pleasure of representing. Erton called this style the Ambassadeur and they were the top of the line model that they made. This pair features original leather on the backs. The rest has been restored with our signature French Pyrenees sheephide. Excellent condition, they sit, deep, wide and comfortable. Circa 1940s. measurements: depth-36", width-45", height-31", seat depth-24", seat width-20", seat height-18"